Welcome to Day Two of LC’s Online Week ! We’ve got some fantastic stuff in store for you all week long, so be sure to check back each and every day! 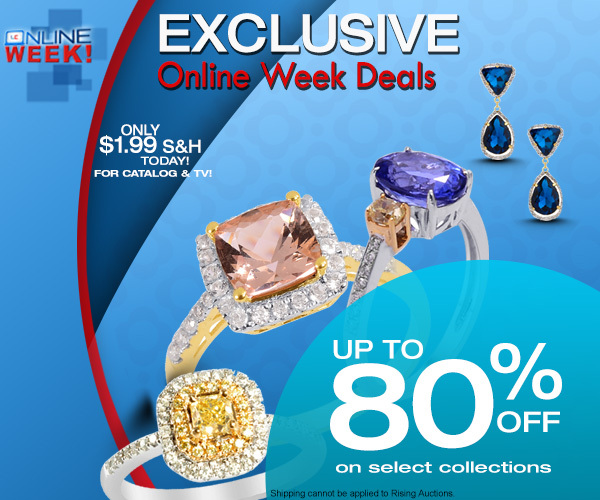 For today’s special, you can save up to 80% off select collections (including Tanzanite, Diamonds, Luxury, and more), plus enjoy $1.99 shipping per item, by shopping online at LiquidationChannel.com. Previous post Online Week Kickoff!